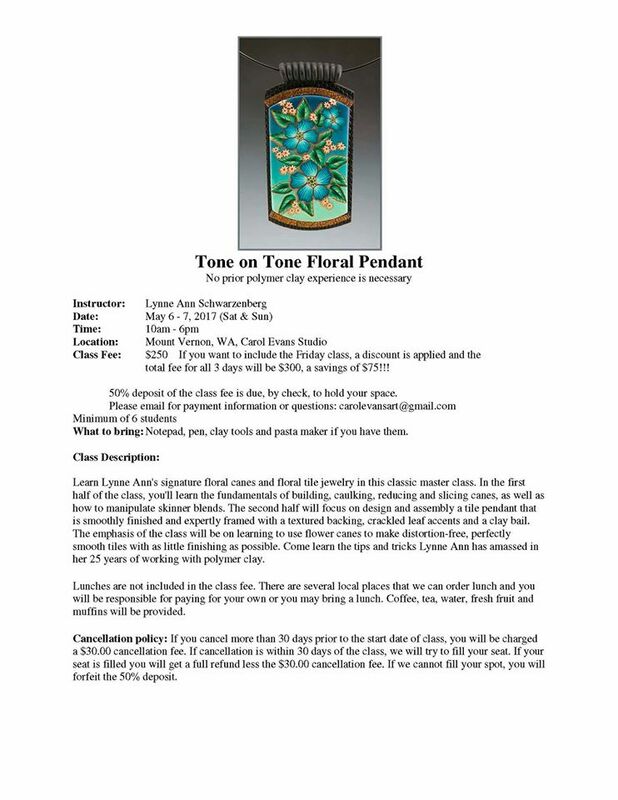 Lynne Ann Schwarzenberg will be teaching in Mount Vernon, Wa. at Carol Evan's studio May 5,6,and 7. Information required for these workshops should be on the posters below. 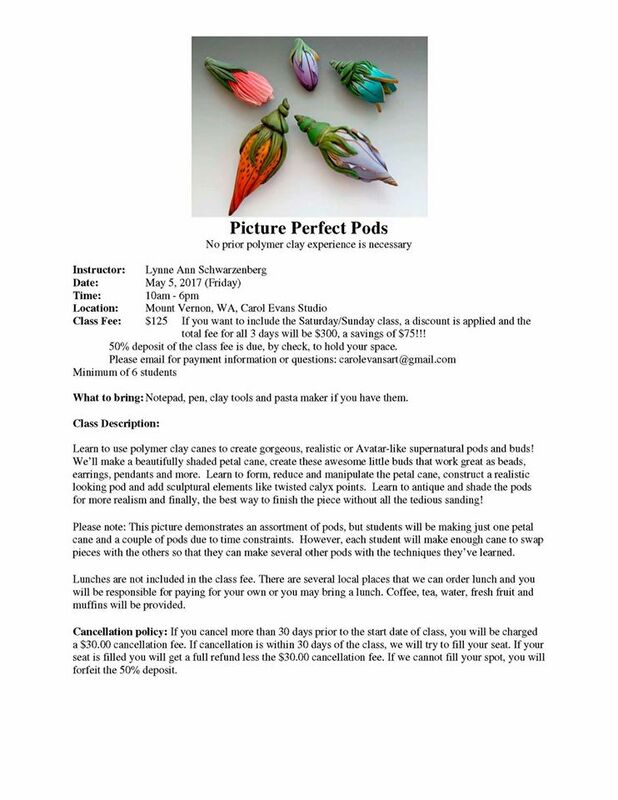 This is a great opportunity for Northwest polyclayers to attend a workshop by this very talented artist. Mount Vernon is just a few miles south of the Canada/U.S border.